How does Simply Business work? What type of insurance can Simply Business provide? How much is public liability insurance with Simply Business? How much is employer’s liability insurance with Simply Business? Does Simply Business offer van insurance? How much does landlord insurance from Simply Business cost? Are there any legal requirements for landlord insurance in the UK? How much does insurance from Simply Business cost? Simply Business is an online insurance broker that helps business owners and landlords find cover. It launched in 2005 and has since become one of the leading insurance brokers for small- to medium-sized businesses. In 2017 it was bought by US insurer Travelers for $490m. Simply Business says it has helped over 400,000 businesses and landlords find insurance, and covers over 1,000 different UK trades, including builders, arts & entertainment, beauty, education, market stalls and many more. Because it is a broker, it doesn’t offer its own insurance. Instead it works like a comparison website and lists quotes and cover levels from a range of well-known and specialist partners. Check out our guides to insurance for tradesmen and the cost of public liability insurance for more information about business cover. Unlike traditional brokers, who you’d need to speak to in person or over the phone, Simply Business uses an online quote form so it can immediately give businesses and landlords a choice of insurers. Simply Business works with a range of companies, including Axa, AIG, Churchill, Zurich and Ageas. Once you’ve selected a policy you can pay for it on the Simply Business site. It’s regulated by the Financial Conduct Authority (FCA). Although Simply Business finds insurance for business owners and landlords, you will not be insured by Simply Business. Your policy will be with the insurance provider you select from the options Simply Business presents you. Simply Business may be able to assist you in making a claim, but is not responsible for your cover. Simply business specialises in landlord insurance and business insurance policies for small- to medium-sized businesses. On its website, Simply Business lists 17 key types of business insurance. It will offer a choice of appropriate cover options for your business on the quote form. You do not have to select all of them but you’ll have the option to include cover you think your business needs. Simply Business can cater for a range of businesses, including tradesmen, mobile hairdressers, mobile beauticians and market stall merchants. If it can’t offer a quote online it suggests calling its customer service line to get assistance. That depends on the nature of your business. How big is it? How many employees do you have, if any? Do you work with the public? Do you provide a service? These are important questions to ponder as their answers will determine the type of business insurance you need. For example, if you have employees, you must buy employers' liability cover. In the UK, employers' liability cover is mandatory for all businesses who have one or more employees. Similarly, depending on your profession, regulatory bodies in your industry might impose legal requirements for other types of cover. For example, solicitors and medical doctors are legally required to have professional indemnity cover that will pay out for claims arising from their making a mistake. Apart from that, very few levels of business cover are compulsory. However, it's still worth considering optional levels of business cover. Public liability cover, for instance, can save you a lot of grief should anyone get injured on your premise or should your business activities cause property damage. In addition, if you work with supplies or expensive tools you might want to consider getting equipment and stock cover to protect you from the losses you could suffer should anything get damaged or stollen. Business cover can be as important for big businesses as it is for small businesses - even self-employed freelancers. We've written a guide on insurance for dance teachers, personal trainers and fitness instructors. If you're a tradesman you might find our best tradesman insurance article useful. Simply Business offers public liability insurance for a wide variety of vocations and industries. Public liability is important for businesses and workers that work in close proximity to the public, for example, construction site workers, hairdressers or market traders. Local authorities may require businesses to have public liability before they’re given a licence to operate and some clients may ask for proof of cover before commissioning a job. Public liability insurance covers claims relating to injury or damage to property caused by the policyholder. If you’re a small business you might want to consider the difference between your yearly revenue and the high legal costs that might arise from a public liability incident. If the difference is too big, you might benefit from the peace of mind of knowing that you are covered should anything happen. A quote, obtained on September 4, 2017, for a public liability insurance-only policy with £1m of cover for a builder registered as a sole trader showed prices that ranged between £85 to about £130 a year. Check out our article on the average cost of public liability cover. It’s a legal requirement for a company to have employers' liability insurance if it has staff. Employers' liability will pay out for claims arising from employee illness or injury. You will need employers' liability cover even if you only have part-time, casual or contracted employees. Failing to comply with this legal requirement would cost you around £2,500 in fines a day. How much is employers' liability insurance with Simply Business? Simply Business does not provide quotes for employers' liability-only cover on its website. A quote, obtained on September 4, 2017, for a builder registered as a sole trader, who hires one temporary worker for under 50 days a year, showed prices that ranged from £135 to about £450, and included £10m of employers' liability cover and £1m of public liability cover. Professional indemnity insurance can pay out if a client suffers a financial loss as a result of your work and for any professional negligence claims. You can purchase professional indemnity insurance from Simply Business alongside a public liability cover or as part of your full business insurance. Professional indemnity cover with Simply Business is also available as a standalone cover for certain professions, eg architects, surveyors, IT contractors, accountants, etc. Learn more about professional indemnity insurance for IT professionals. Simply Business covers over 1,000 jobs and professions. If you can't find yours and are specifically interested in purchasing personal indemnity insurance as a standalone, Simply Business advice that they might still be able to help you if you contact them. Simply Business does not provide quotes for van insurance. It does link to partners that do have cover but it is not possible to get a quote using Simply Business’s site. We’ve ranked some of the best van insurers here. If you want to know more about landlord insurance and learn who the leading landlord insurance providers are, check out our Best landlord insurance 2019 article. The costs of your landlord insurance will depend on the size of your property, your tenants, the postcode of the property, whether your mortgage is buy-to-let and myriad other factors. We obtained a quote for a basic landlord insurance policy on September 4, 2017, for a terrace/end terrace house in West London, built after the year 2000. We selected building cover and accidental damage cover, amongst other basic levels of cover, and excluded landlord contents, which you might need if your property is furnished. Simply Business offered 11 quotes ranging from £111 to about £230 a year. If you're looking to get a buy-to-let cover, you might like our article on the costs of buy-to-let insurance. Alternatively, you can learn more about the costs of landlord insurance in the UK. Landlord insurance isn't a legal requirement in the UK, however, some banks and building societies make it mandatory if you're after a buy-to-let mortgage. Even though landlord insurance is not obligatory, buying a property can be a big investment and you might benefit from knowing you're covered should anything happen to it. Landlord insurance can pay out for, amongst other things, property damages caused by a fire or a flood; damage to furniture or appliances you've provided your tenants; if your tenants are injured in an incident caused by something on the premise, eg loose cables. Business insurance can vary significantly from company to company. Numerous factors can impact the price of your cover, most notably your industry, the size of your business, how many employees you have, and your everyday business activities. Simply Business offered 10 quotes for mobile hairdresser insurance, with no optional extras, ranging from around £197 to £460 a year. The quotes included public liability, employers’ liability, professional indemnity and tools covers. Bear in mind, that a more comprehensive policy is likely to cost more. Landlord insurance prices vary depending on the size of the property, its location and who the tenant is. A quote for landlord buildings cover obtained on August 11, 2017, showed prices that ranged from around £135 to £245. Public liability is one of the most common types of cover for business. 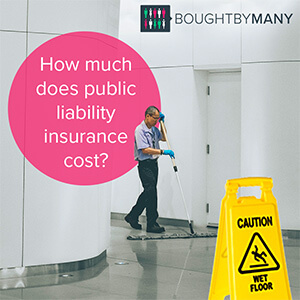 Find out how much public liability cover costs and learn more here. If you need to claim, Simply Business has an online claims process. You can also phone the Simply Business contact number 0333 207 0560, or email them at simplybusiness@cl-uk.com. They will assist you in making a claim and manage the procedure. The online claims service is simple and easy to use and Simply Business recommends that customers submit their claims online to reduce waiting times. Simply business has an award-winning claims process. All claims are handled by a specific Simply Business claims team in the leading claims handler in the UK - Cunnigham Lindsey. Simply Business works closely with the claims team to ensure that the service exceeds customers' expectations. They schedule different shift patterns to ensure customers can reach them at any time of the day, be it lunch or evenings. In addition, they offer a fast-track service that helps settle small first-time claims straight away, only requesting the essential bits of information and supporting documentation. An app, called Mi Claim, makes it possible for customers to make a claim and track its progress. Bear in mind that Simply Business is not an insurer but an insurance broker. This means that if you make a claim, Simply Business will assist you in doing so, acting as a mediator, but will not be responsible for paying out, your insurance provider will be. Simply Business uses Feefo to collect feedback and it has a rating of 4.6 out 5 based on over 3,000 customer reviews. Many of these reviews are likely to have been left by people who have only recently purchased a policy and have not been through the claims process. Because Simply Business offers quotes from partner insurers, it’s worth searching of reviews of those individual insurers before choosing cover. Simply Business was awarded the 2017 Insurance Times Claims Excellence Award. The European Business Awards named it UK Business of the year for 2016. It was also awarded Team of the Year at the National Quality & Customer Experience awards for a second consecutive year in 2016.